Jan. 7 is the last night to view the Port of Kingston’s Kingston Cove Christmas lights in the marina park. After that, the 500,000 lights will be turned off and Port staff will begin the major task of storing away the more than 600 lighted figures for next year and removing the 40-foot Christmas tree. “Our kids told us about them (two of them live in Poulsbo) so we took all of them along with the five grand kids,” Essinger said. “WOW!!!! What a great display!!! I know it takes lot of work and expense … the oldest grand kids are four; they loved the stage and put on a performance for all that would watch. 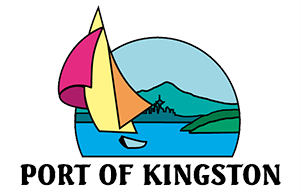 The Port of Kingston was founded in the early twentieth century and will celebrate its centennial in 2019. Its major areas of responsibility include recreation, transportation and community development.